Proprietary blend of environmentally friendly, nontoxic dyes reduces sunlight penetration and imparts a natural blue color. 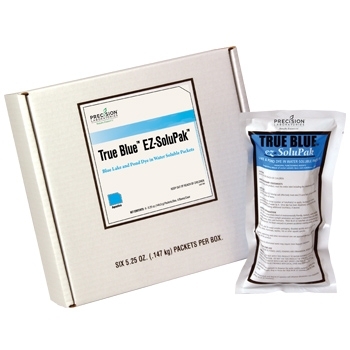 Waterproof, foil-lined SoluPak prevents accidental staining. 1 Pak per acre-foot or 325,000 gallons.